Offer Letter Format for BPO job - Appointment | Joining - padhaee "
Offer Letter Format for BPO job – Appointment | Joining – Below is sample offer letter format for BPO job that is being used in all major BPOs or call center. 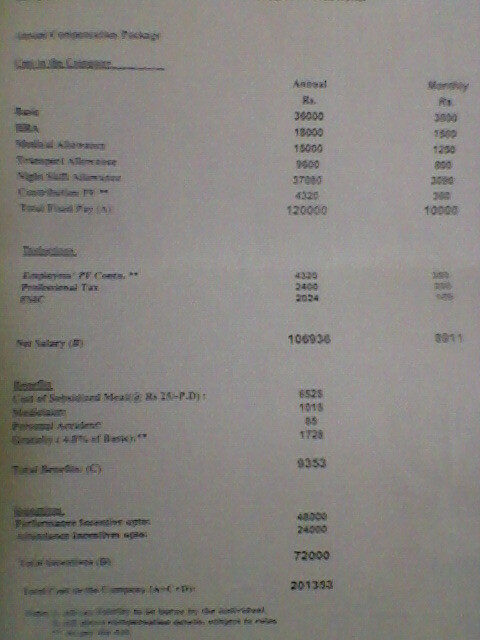 This is for an employee and also shows the salary breakup including bonus, incentives, appraisal. 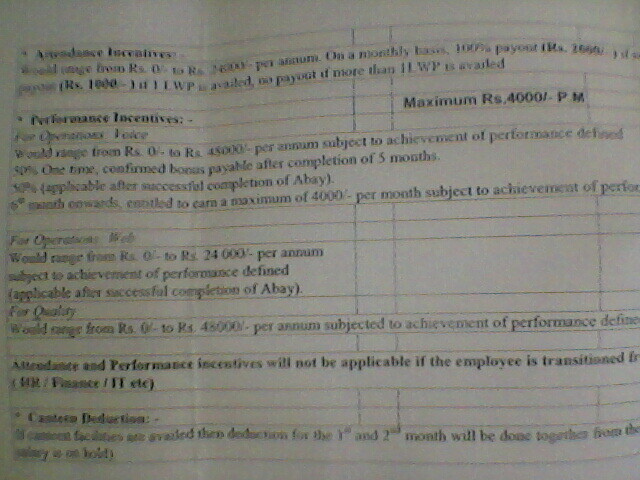 Compensation and deduction from salary is shown in pictures. For the format of a Recommendation letter for employee or Job reference letter. b)Your compensation is Rs______________ per annum on the basis of the declaration made in your resume and disclosure made at the time of interview. c)Your performance as well as your compensation will be reviewed on a half yearly basis. 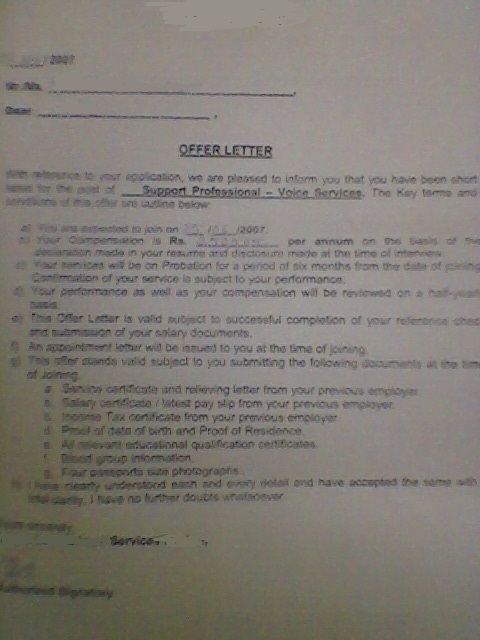 d)this offer letter is valid subject to completion of your reference check and submission of your salary documents. f)An appointment letter will be offered to you a the time of joining. 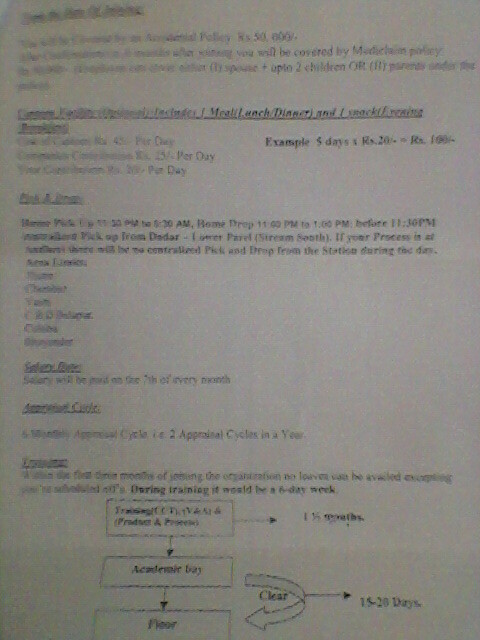 g)This offer letter stands valid to you subject you submit the following documents at the time of joining. b.Salary certificate/latest pay slip from your previous employer. d.Proof of date of birth and proof of residence. e.All relevant educational qualification certificates. After confirmation i.e 6 months after joining you will be covered by mediclaim policy: Rs.xxxx (Employee can cover either spouse + upto 2 children or parents under the policy. Before 11.30 am centralized pick up from dadar. If your process is at andheri there will be no centralized pick and drop from the station during the day.